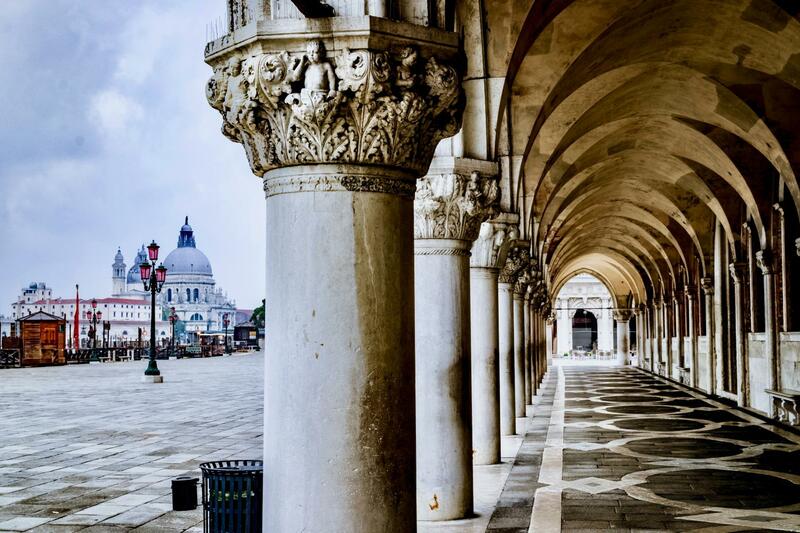 You will be escorted into Saint Mark's Basilica and the Doge's Palace by your private guide and be intrigued by the fascinating history of La Serenissima. Discover what it is like to live in this unique city! 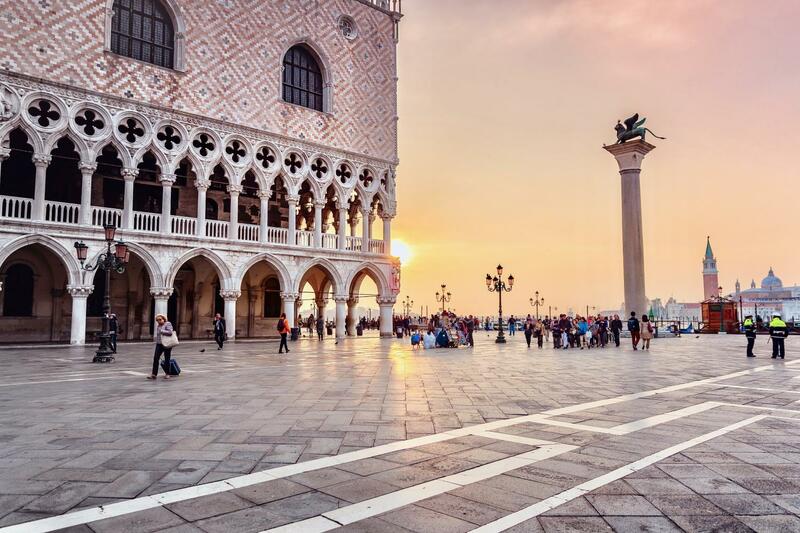 Walking around this open air museum your informative guide will take you to the external sights of Saint Mark's Square, the Doge's Palace, the Sansovino library, the Bell tower, the incredible legends of the Clock tower and the Bridge of sighs and its adjoining prisons. You will discover the extraordinary architectural master pieces and why they were built that way. 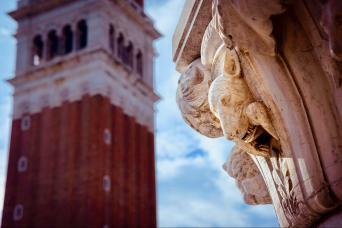 Learn how Venice lost out on the trade routes and when the new World was discovered, leaving Venice medieval forever. 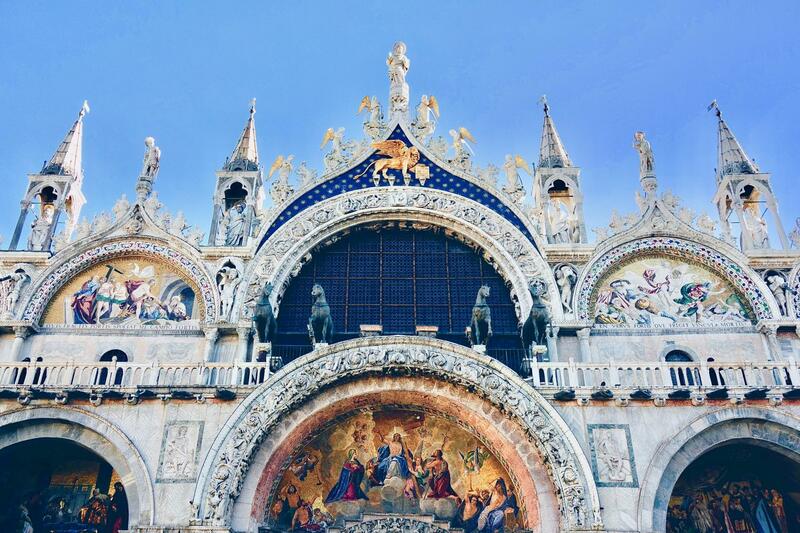 We enter inside Saint Mark's Basilica, which majestically symbolizes the lagoon and enshrines the city’s history and Saints relics. With its awe – inspiring gold mosaics our talented guide will walk you through to one of the main highlights of the Saint Marks Basilica, the “Pala d’Oro” (Golden altar), with masterpieces by generations of Venetian Goldsmiths, universally recognized as one of the most refined and accomplished works of Byzantine craftsmanship and the most precious treasure in the Saint Marks Basilica. 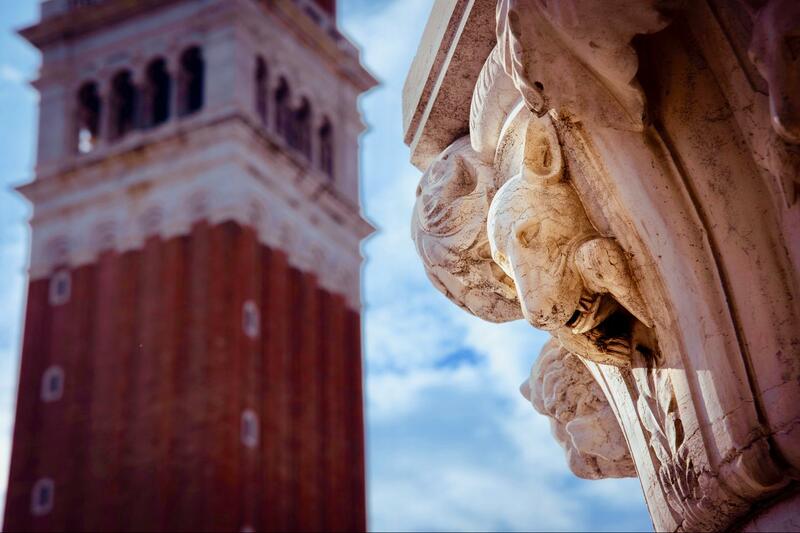 The tour then continues to The Doge's Palace "Palazzo Ducale", a magnificent combination of Byzantine, Gothic and Renaissance architecture, the center of the Venetian Empire and the seat of the Venetian Government. It was once the residence of the Doge, the elected ruler of the city. Listen to your informative guide as you pass through its lavish chambers, which display masterpieces by Tintoretto, Titian and Veronese. 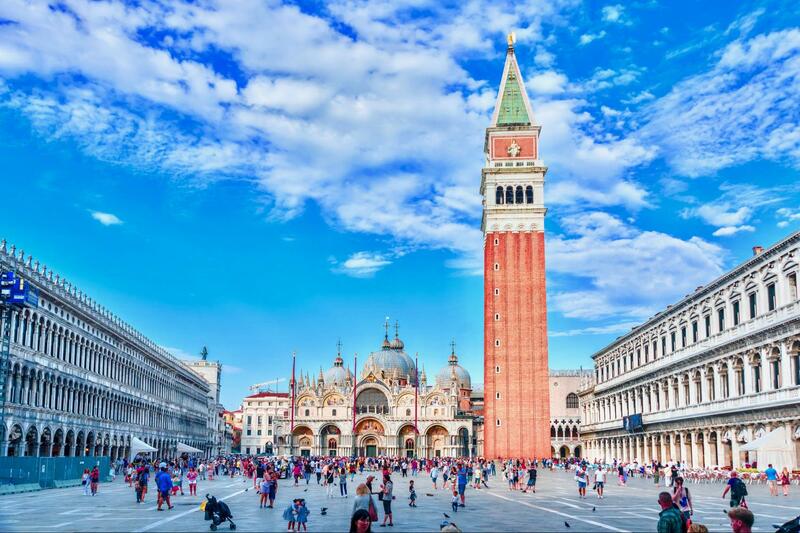 Take advantage of our expert guide, hear anecdotes about this remarkable city and its historical characters, Casanova, Marco Polo to name two. This walk is an absolute must for the first time visitor, leaving you knowing so much more about this not so practical but precious city.